Life is magical and glimpses of spirit sometimes drop right into our laps. Last week my oldest child, Maddie asked me to read a poem she had written earlier that day. She is a freshman in high school and mentioned that she had composed it during her study period. “The words just kind of fell onto the page.” she said. To my wise, graceful and amazing daughter, thank you for this spectacular glimpse of sprit! my cry was heard throughout the galaxies, the deep blue of my eyes spilled into the sky and the glint of my smile lit the sun. and pooled in the oceans. it’s sounding bell echoed across the land and my skidding knees flattened the plains. I hurled them toward the ground joyfully and in a great spectacle of fire and light, I ended the Jurassic Era. the birds and animals out of cold clay, firing them to light their inner sparks and blessing each as an individual. and hurled its pieces throughout the world, sending the Earth spinning. The darkness of night frightened me so with the help of my friend, Selene,I created the Moon and slung it into the sky So forever was it illuminated. separated our love; He built a rainbow bridge to me so I’d know I was always in his heart. I live within each creature and each ray of light that beams, and I am that of legends that only come in dreams. I love all of creation, rolling sea and willow tree, and I hope that soon you’ll realize, you are a part of me. My Goodness! I am gobsmacked! A silver cord of inspiration connects her to regions where the Muses sing. Imagine no destiny greater than this moment. At this moment she is divine. Wonderfully full of her total being!! 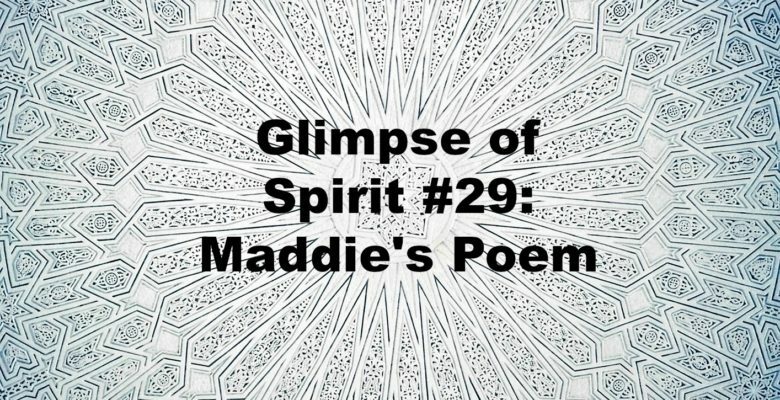 You chose and arranged your words so beautifully – I feel blessed to be a little part of you Maddie! Wow, that is BEAUTIFUL! That’s one productive study period! Splendid!…cannot find the correct word..as this is so amazing..there is only tone/symphony/and color..beyond human vision..to describe this poem…thank you so much Maddie..much love..